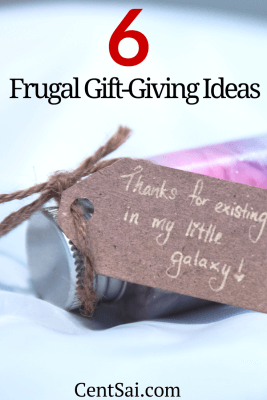 Try these tips and make gift-giving a wonderful part of your holidays – and not just another source of major stress. Let’s face it: The holidays can be stressful. Spending extra time with family is enough to put most of us over the edge. …he didn’t care a bit about any of the toys we purchased! He did, however, spend hours playing with the boxes and wrap that day. I will never forget the excitement at our house that first Christmas we had our new baby. He wasn’t quite a year old yet, so we didn’t buy that much, but as young parents, we were so excited to see him “open” his gifts Christmas morning. You probably know what happened next – he didn’t care a bit about any of the toys we purchased! He did, however, spend hours playing with the boxes and wrap that day. All we could do was laugh at ourselves. However, if you have older children or teens, you just aren’t going to get away with giving them an empty box. Thankfully, there are several strategies that parents can use to help get them through the Christmas season without breaking the bank. Each child gets something they want, something they need, something to wear, and something to read. This is a straightforward and easy way to approach the holiday. Of course, you may still need to set a cap on how much you will spend on each person or things could get out of hand quickly. Instead of each family member purchasing something for every other family member, you can draw names. Each person gets one gift. This is a great way to drastically reduce stress and spending. I have been able to make some amazing purchases at garage sales over the years. Brand new items still in the package or with tags attached. No one has to know that you got their favorite movie or video at a garage sale for one dollar if it is still wrapped up! This is such an obvious one, but I had to mention it. The beautiful part? If you have older kids, you can get them a Visa gift card, and they can buy what they want. Chances are that they aren’t going to like that outfit you picked out, anyway! This approach lengthened our celebration and made it more fun. It was important to our family to celebrate the spiritual meaning of Christmas rather than focus on gift giving. We gave each child only one or two presents on Christmas morning, but we also spread out gift giving throughout the entire season. December 6 is St. Nicholas Day, so we did small gifts in stockings that day and remembered St. Nicholas. Epiphany is celebrated on January 6 and is the official end of the Christmas season. So we marked that day and its spiritual lessons with another small gift. This approach lengthened our celebration and made it more fun. Of course, generous grandparents and other family members gave the kids presents, so it wasn’t like our kids were empty-handed at Christmas. We just chose to emphasize gifts at birthdays rather than the holidays. I have a friend who no longer buys Christmas gifts for individual children in her family. Rather, they make a family purchase that everyone enjoys. They go on a short vacation around the holidays, or get annual passes to a local theme park. 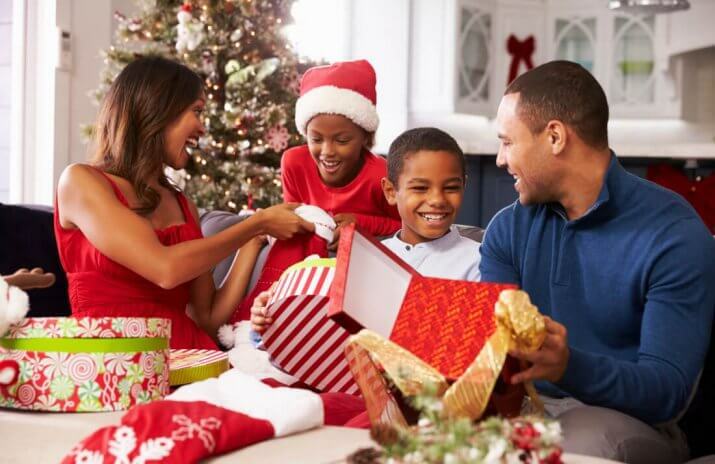 Rather than gifts, they are choosing to spend time and create memories with their children. Going into debt over Christmas presents just isn’t worth it in my book. Decide what will work best for your family and then stick to the plan. You can have a great Christmas with your kids and not spend the next calendar year paying for it! Opinions expressed here are author’s alone, not those of any partner bank, credit card issuer, hotel, airline, or other partner. This content has not been reviewed, approved or otherwise endorsed by any of the entities included within the post.